Perfectly sized for so many of the people you need to remember, our Good Friends Pack delivers a sweet taste of Florida sunshine. We offer it with our delicious fresh-picked Oranges and Red Grapefruit, or all Oranges or all Red Grapefruit. Available Mid-November through Mid January. 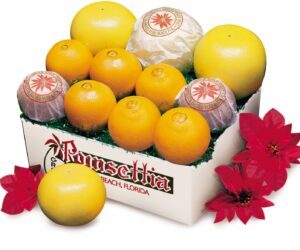 Looking for Ruby Red Grapefruit? Click here.